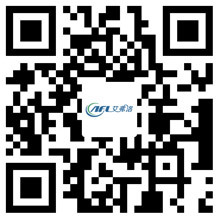 Axial Fan Repair and Maintenance - Hangzhou Airflow Electric Appliances Co.,Ltd. Axial fan demolition methods: remove the motor, gear box coupling, pay attention to the relative position, do a good mark, the hollow transmission shaft shall be put in place. Remove the blade bolts. Remove all the blades and mark the installation position of each blade. Place it back in place. Remove the gear box and motor anchor bolts and lift them away from the site to the inspection and repair room. The standard of common coupling rubber elastic column pin coupling fan, the elastic ring is easy to wear, should be replaced if found worn. Best to replace the elastic ring at the same time, so as not to affect the balance of precision coupling components existing. The inspection of the blade is carried out in general, mainly to check whether the blade has cracks and pores, sand inclusion and other defects. In view of the draft fan, it is necessary to determine whether the blade is in good condition and the gap meets the standard by determining the thickness and weighing to determine whether the blade is seriously worn. If the ball bearing inner coat, cracks, rust stain abrasion marks, thermochromism and clearance exceeds the standard, should be replaced with new bearings; all fastening screws have no cracks, loose screws, important to nondestructive inspection, to ensure the quality of the screw; the blade rotation should be flexible, no jam phenomenon. Petiole surface should be no damage, no deformation, shall be free of defects such as cracks, or replace the bushing hole; petiole should be complete, no fouling, no burr, or replace the sealing ring in the hole; if petiole is aging off, off aging should be replace fastening nuts; if the washer is intact, the nut is loose. The hub should be free of cracks, deformation; the wheel and main shaft should be firm, found loosing shall be re-assemblied; wear of wheel seal, the sealing piece should be intact, clearance shall comply with the standards, should replace the seal when worn serious.